I’ll table the discussion on whether or not this can is “sassier”, but if the can is 6 inches tall, how wide must it be to hold the same volume as the can that doesn’t feature a “celebration of beautiful, confident women.” ? This makes me fell all kinds of dirty. Remind you of the Barbie Hip to Waist Ratio? 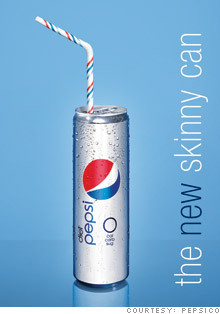 And does the sassy can use more or less aluminum than the less sassy can?